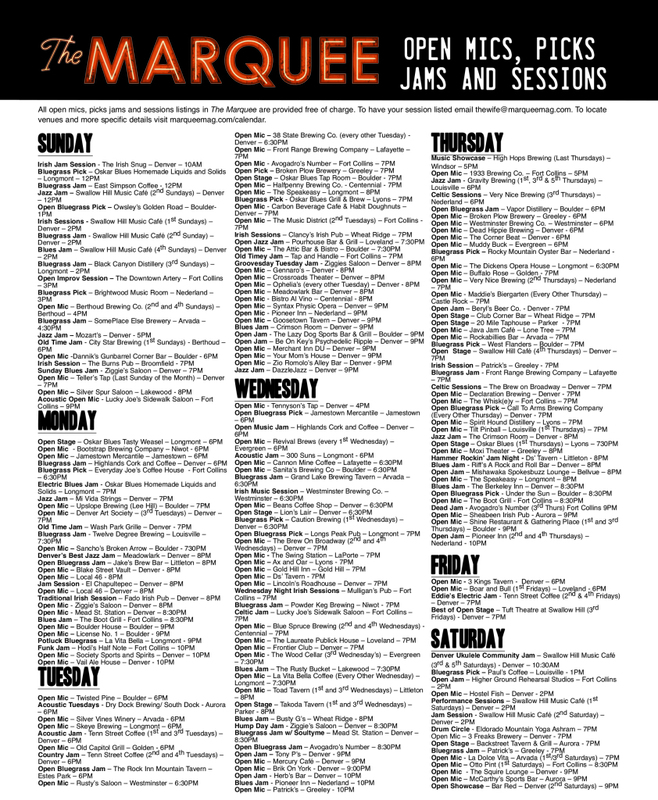 All open mics, picks jams and sessions listings in The Marquee are provided free of charge. To have your session listed email thewife@marqueemag.com. To locate venues and more specific details visit marqueemag.com/calendar.